A Gardeners Guide to Growing, Planting and Buying Plants. With 1000s of photographs and lots good practical advice on choosing, growing plants from experienced gardeners, www.nurseriesonline.us provides access to gardening tips that will suit both the beginning and experienced gardening enthusiast. Join us to find out about plants from Aucuba to Zelkova. We look at new release plant, water fountains, garden design, hanging baskets and just about anything that you will ever need to help you grow an exceptional garden. Look for roses that will suit your climate read more ». Cacti and succulents can be grown both indoors and outdoors read more ». You can join us on Google plus, Facebook or twitter to ask questions or simply join in the gardening conversation. Subscribe to our blog for ideas and updates delivered by email. We look at plant zones, soil, fertilizers and watering requirements, and it is all free. And yes we can tell you what plants are for sale and where to buy them. With in-depth reviews of 1000s of garden plants, Nurseries Online is a free resource for gardeners both beginners and experienced. 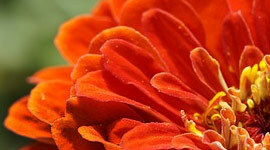 New gardeners can find ideas from the many gardening articles as well as the individual plant profiles. We look at how to grow, prune and take care of plants, including USDA zones. From large trees to tiny treasures, flowering plants and bulbs to screening plants we have it covered. Our A - Z plant finder is just one way to find plants and information. You can go to individual sections on roses, bulbs, iris, flowering trees and 100s more to explore gardening topics in depth. If you need help finding any plant, garden bulb, tree or shrub, our useful links to specialist growers, nurseries and mail order companies makes it easy. We also look at fruit trees, vegetable gardening and provide a separate area for those interested in growing herbs, both for the kitchen and therapeutic use. For this gardeners interested in garden design, we look at a range of topics including landscaping principles, fountains and water features, garden ponds and even Japanese Garden design. Our notes are all written by gardeners, and our photographs are all taken by us, many suitable to assist with plant identification. If you have questions or comments you can join the conversation with us on Google plus, Facebook or Twitter. We list all of the best plants that can be found Online, we tell you how to grow them and where to buy them. 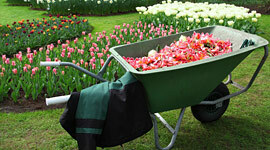 You may be looking for roses, orchids, perennials for the border or trees and shrubs. 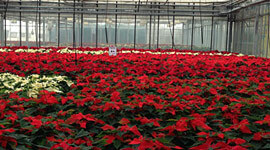 We have collected together growers from across the country who can not only deliver the plants but are also experts . We do not stop their, we also give you our advice and opinion on what plants are great and which ones are not so good. We are not afraid to call a weed a weed, or tell you that you may have problems growing a particular plant in your USDA Zone. Order Plants at the right time of the year for planting. Every garden needs a few addition besides the plants, how about garden ornaments, statues, water fountains retainer walls, and of course garden tools and equipment. All of these can also be sourced Online. Window Boxes are popular just about everywhere, some streets are famous for them. So a garden in a box is what we a talking about, and the window is really just a place to decorate and grow a few extra plants. Used to add a splash of color to homes around the world the innovative planting schemes are a source of amazement. 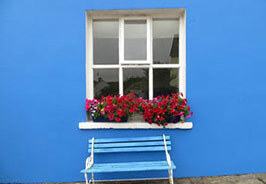 For small home, large homes, apartments and holiday houses, a colorful window box adds an individual touch.